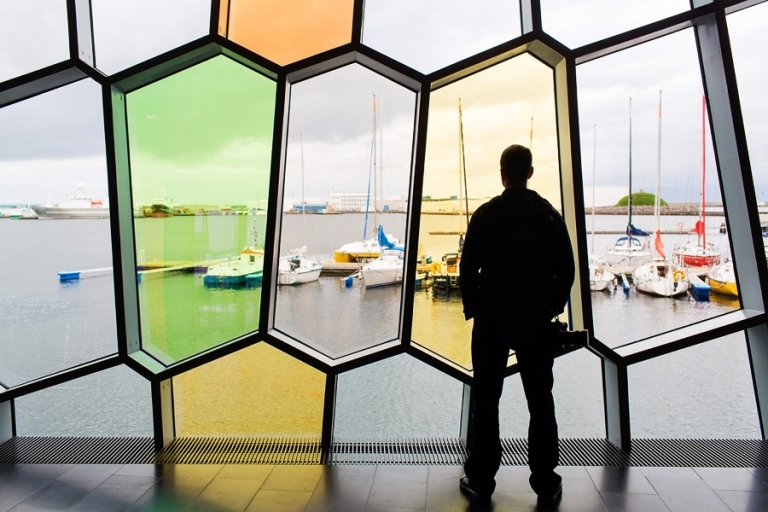 I could have spent hours photographing the interior and exterior of the Harpa Concert Hall in Reykjavik. I posted the vertical version of this image already, but I love both orientations and I also experimented with the saturation in this image. Plus the silhouette is of perhaps my most favorite subject so I can’t help but post the landscape version of this photo.